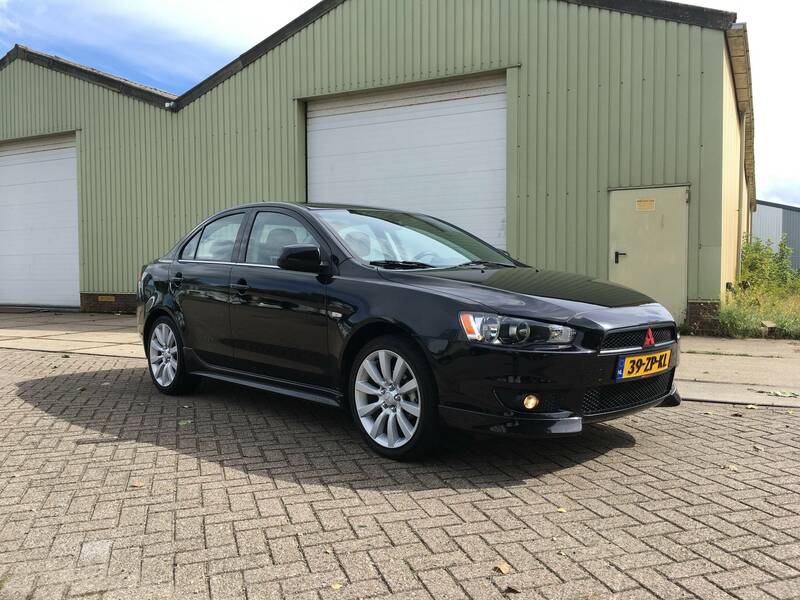 I'm new here to the forum, and trying to get some great ideas on how to make my lancer look nicer. 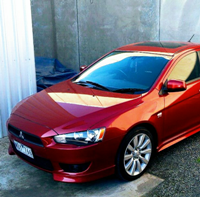 I own a Mitsubishi Lancer sport sedan for about 4 months now. It has an 4B10, 1.8liter NA engine in it which produces 143hp. -Changed the front grill from chrome to black with a red emblem. -Put in some red hella horns (already in the garage). -Put in some smoked side blinkers (already in the garage). -Get the car lowered a little bit, not sure weather to go with coils of springs. -Black out the chrome on the doors. -Get an evo X wing. Rather then go for looks I would be doing everything I can to get as much power out of it and make the motor breathe. Wrap the fuel line that is exposed on top of the motor in wrap also. Looks mint dude, Welcome to the forum! That looks like a VR or at best a VR-X please tell us more about it, is it Manual/CVT? Leather interior? how bad did we Aussies get ripped off in the selection of trim in these cars? 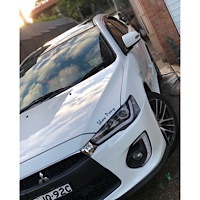 There are mounts on Ebay and Ali express for shifting your numberplate to the side, not sure if in NL you can get a smaller plate to suit though, in AU and NZ ours are 6 characters and at most 14" long. Yours looks like it's 18-20"
How is the 1.8 for power? I didn't either until a few weeks ago when I looked up 4B1 on wiki. bumblebee wrote: Rather then go for looks I would be doing everything I can to get as much power out of it and make the motor breathe. I know i have to spend a fortune to get great numbers of power gain out of this engine, and that is not what i'm looking for. Sure a little bit more power is always welcome, but to get a lot more i have to build on a turbo. There is some one here in the Netherlands that has already done it. Thanks for the tips to go crazy with the thermal wrap, it is an easy upgrade to do. Just like u say, time consuming. Quismiff wrote: Looks mint dude, Welcome to the forum! Hahahaha, yeah it has every thing to do with the EU regulations. For your knowledgee in Germany and the Netherlands we are slowly saying goodbye to our old Diesels. 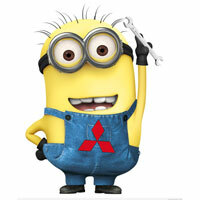 We see allot more electric cars here like the Tesla's and hybrids like Toyota's and Volvo's. 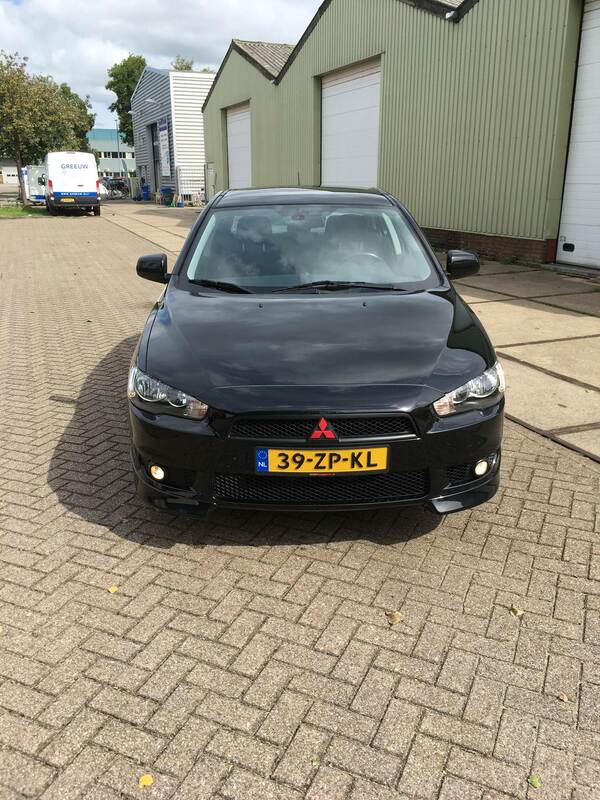 But it is also possible to get a 2.0 Ralliart and 2.0 Evolution here in the Netherlands. And sadly but true also a 1.5liter(109hp) and a 1.6liter(116hp). Mine has a manual gearbox, and doesn't have the leather interior, but for my opinion i don't really like the leather. I will post a picture of the interior soon. The gauges i don't really need, but it is that i have them in the attic from my previous car. And it is not that hard to install some gauges, so that is why. The side mount numberplate holder i have to adjust to fit our numberplates to it, because they are as you already spotted a little bit wider. Lancer1993 wrote: Welcome, to the forum. The power is enough, not great, but enough. Better to swap in a 4B12. Hahah if you’re talking in terms of actual power, then you will need to spend a hella lot of money to make any good amount of power, but that’s what the turbo series engines are for, if it can’t hit even 200kw then I’m afraid to say it isn’t much. I'm not looking for power. Not going to spent that kind of money! It's just a really nice car to drive. Hahah that’s all good and well, do what ever pleases you on your list of to do! For about $100 you can buy say 20 meters of thermal exhaust wrap And do the headers with it. Get a decent sized sheet of gold heat insulator wrap. Do the air box. Snorkel. And the inlet hose from air box to the throttle body.do the inlet manifold. Do the fuel rail. For a K&N air cleaner. That will do a tremendous amount just on it's own before you get the ECU tuned. Everyone gets wrapped up with power and thinks it just HP. There is also Torque that goes with it. The 4B11 2 litre is a square motor and torque to boot. It's all the restrictions that kill it. Remove the restrictions and you have a very good vehicle you can have a lot of fun with very inexpensively for many years to come.